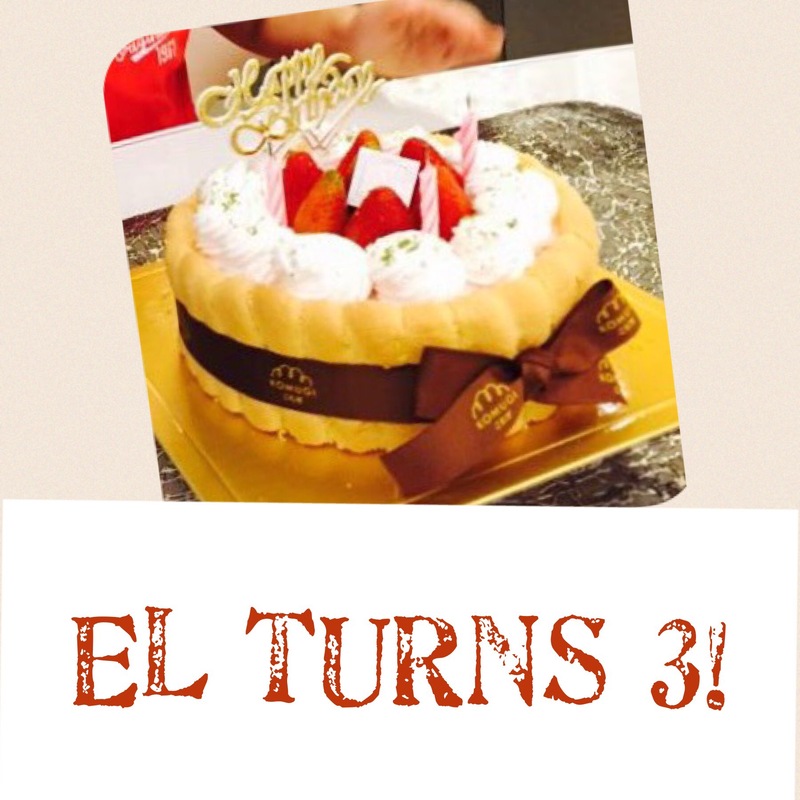 Finally, #3 El turns 3 years old and I’ve been a mummy of 3 for 3 years. It’s a day we’ve all been looking forward to. The past 3 years passed in a whirlwind fashion. Just before delivering El, hubby injured his spine and was miserably in pain until he found the right chiropractor months later. This meant he almost didn’t carry El at all. Until now, El still refuses to let hubby make him sleep. El is the baby I had to let our helper (aka Kakak) help out the most when my hands were full with the older two boys. When he was 3+ months old, we had to make a trip to Australia at short notice. It was such a headache ensuring a smooth flight, and taking care of the logistics surrounding the 3 young kids, that I barely remember what went on during that trip. Except this: we were in long car ride when El did an explosive poo (common to breastfed baby). Thankfully we found a daycare centre to give him a quick shower. When he was 6 months old, we had to move house. Oh… An even bigger headache! At that time, Vee was still being homeschooled, so I’d all 3 kids nearly 24×7. During naptime, I scrambled to pack everything. Sometimes El was fussy and I’d to backcarry him while packing. We ended up with 20+ boxes of stuff. Books and learning materials made up nearly 20 boxes! When El was 10 months old, Vee joined a kindy for the last term of K1. I was finally forced to drive in KL, something I’d pushed off for years. When he turned 14 months old, I got struck by dengue fever, just 1-2 days before a workshop. Gosh… I’d to suddenly postpone it while half knocked out. El was already day-weaned but still breastfeeding at night. With my 5-day admission in hospital, Kakak took care of him and he was completely weaned off. Just like that. From Jan this year (El: 2y3m), Vee started P1 while Jae started K1. Ironically, life became more chaotic with driving 1 kid to school and 2 kids back at different times. I was spending 1.5 hours on the road or in jams. Add to that, before and after school tantrums, and rushing through homework when they returned. The positive was El finally had 1-to-1 time with me in the mornings. 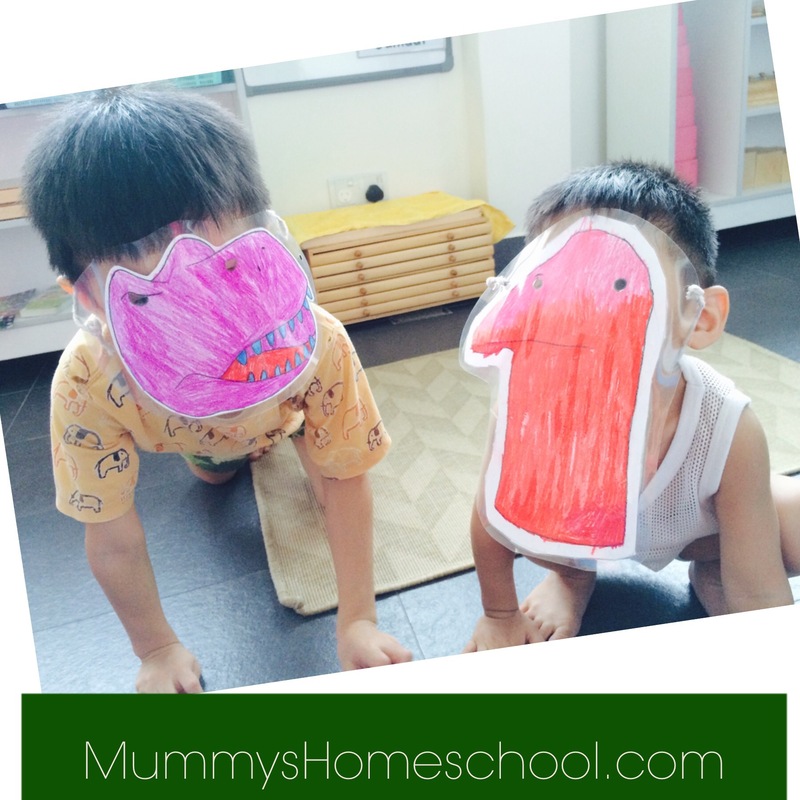 After 4 months, Jae and the kindy were still not a good fit so I homeschooled him again. Less driving around (great!) but little slack at home since I’d to teach 2 kids every weekday morning. I ensure El has 1-to-1 time before bed. We’d read stories, do Pilates stretches and chit-chat. Years back, Vee kept asking when I’d bake snacks for him. I told him “When didi is 3 years old and more settled.” We all knew how chaotic it could be with 3 active boys (more like monkeys) in the house. How to bake in peace? Fortunately El is a happy boy, so I managed to start baking when he was 2+yo. So now he turns 3yo… Very chatty (but regurgitating all those negative phrases that Vee picks up from school. Things that a 3yo should NOT be saying.) Loves music (he seems to like the violin more than piano), plays very well with Jae (they’re like best buddies), plays with hubby in the day yet still prefers only me (or Kakak) to make him sleep. I’m confident the years ahead would be easier as he grows more independent. When he climbs into my bed at night, I let him be because he’s our last baby and won’t be little for long. He’s the one whom at 3 years old, mummy isn’t busy with another newborn baby. Happy birthday, El! Mummy loves you. Happy Birthday to all of you! Celebrate being alive and healthy…cheers to a lovely month!